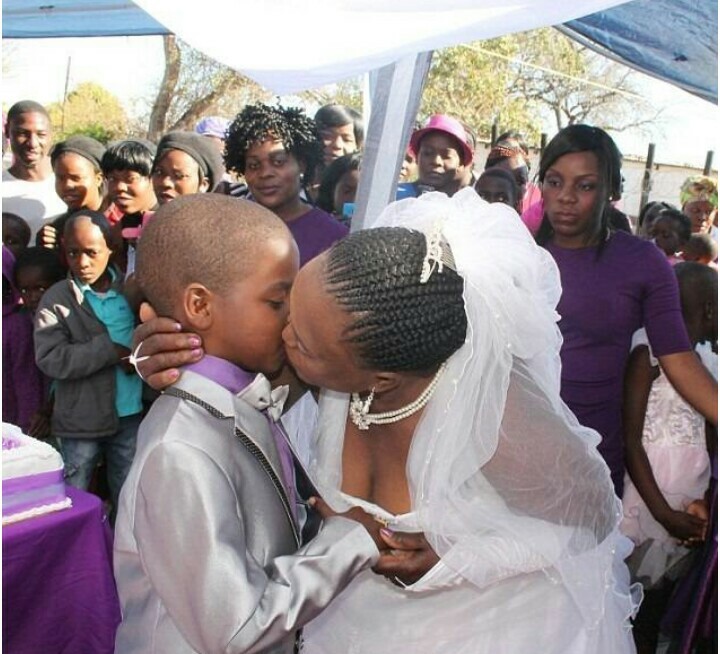 This is a story of a 9-year-old boy named Sanele Masilela who marries his 62-year-old wife, Helen Shabangu for the second time. The couple is living somewhere in South Africa, held the ceremony and exchanged rings in front of hundred guests. According to reports, the couple decided to tie knot again because Sanele received a message from heaven to marry his wife Helen again. "Sanele was fine and he was happy about the ceremony last year and it what he wanted. - he was not shy. He was just happy to get married, excited, and not embarrassed about it. So much he wanted to do it again, " Sanele Mother, Patience Masinela said. "By doing this, we made the ancestors happy, if we hadn't done what my son had asked the something bad would happened in the family," she added. The family has defended the said ceremony, saying that it was just a ritual and not totally legally binding. This two exchange vows on their first wedding in 2013.